The FCT High Court in Apo, Abuja, have nullified the expulsion of the senator representing Ogun East Senatorial District, Buruji Kashamu, from the Peoples Democratic Party. 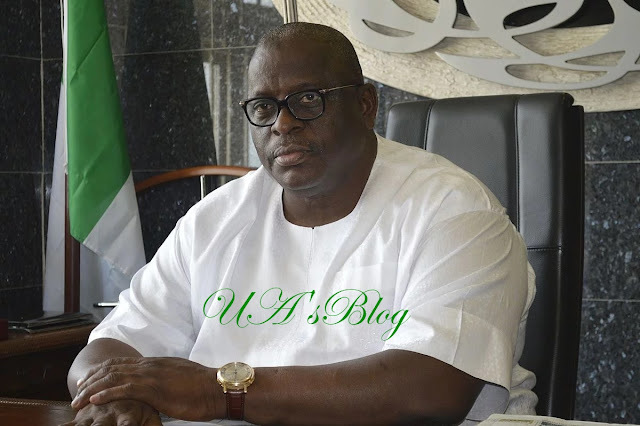 Justice Valentine Ashi of an Abuja High Court on Wednesday set aside the Peoples Democratic Party’s expulsion of Senator Buruji Kashamu (Ogun East) and the Ogun State Chairman of the party, Engr Adebayo Dayo. Justice Ashi, who nullified the action of the PDP in a ruling he delivered Wednesday, held that the purported expulsion was unlawful as it was done in flagrant disobedience of a subsisting order of the court made on December 7, 2017, which was restated on January 9, 2018, directing parties not to do anything to jeopardise the hearing of the pending case. The PDP on July 24, 2018, announced the expulsion of Kashamu and Dayo from the party. Their expulsion was contained in the party’s letter of August 1, 2018 which was served on them. Miffed by the party’s action, both Kashamu and Dayo in the suit marked: M/8696/2018, and filed on their behalf by their counsel Charles Ndukwe challenged their expulsion from the party. Their argument was on the grounds that the party took the action while the matter was still pending in court. In the ruling, the judge agreed with the applicants (Kashamu and Dayo) that the order made on December 7, 2017 and restated on January 9, 2018 was still binding on the plaintiff (PDP) and all parties despite its (PDP’s) abandoning of the case, which led to it being struck out. Justice Ashi noted that even when the main suit was struck out, the counter-claim filed by Kashamu and other defendants was still pending. The judge rejected PDP’s objection to the suit and held that the suit Kashamu filed against the party before the Federal High Court, Abuja was different from the one before his court. “It is trite law that where a party carries on an activity which is either outrightly prohibited by a positive court order or where such party, after having due notice of a pending application brought against him to restrain him from so doing and he nevertheless goes ahead to do those very things that are either expressly prohibited by an order of court or in respect of which notice has been given, this court has the jurisdiction to undo what has been wrongly done and put parties back to the status quo. “In my view, that is what ought to be the justice of this case”, the judge held. Justice Ashi consequently ordered that “the purported expulsion of the 1st and 4th defendants from the PDP as announced by the respondent in the media and the letter of expulsion addressed to them and two others, which letter is dated the 1st of August 2018, is hereby set aside and nullified as an act done in gross and willful violation of an express order of court made on the 8th of December 2017 and the 9th of January 2018 directing parties to maintain the status quo and in particular, not to carry out any disciplinary action against the applicants without first having recourse to this court. “The said letter of expulsion of the applicants made by the respondent on the 1st of August 2018 is hereby set aside and declared null, void and of no effect, in that it was made in gross violation of the aforesaid subsisting orders of the court. “The National Chairman of the respondent party herein (PDP) is hereby ordered to show cause by affidavit, within 48 hours of the service of this order on him, explaining while the court’s disciplinary measures should not be meted out on him on the account of the contemptuous and gross violation of this court’s order made on the 9th of January 2018 or explaining why this court should not refer his conduct to the Attorney General of the Federation for prosecution before the Chief Magistrate’s Court of the FCT for the offence of obstruction of the course of justice.